Il caso Khodorkovskij divide Russia ed Occidente. Nessuno si faceva illusioni. Prima fra tutti Michail Khodorkovskij e Platon Lebedev che sapevano in anticipo che sarebbero stati nuovamente condannati, questa volta per frode allo Stato e riciclaggio. L’osservazione “il ladro resti in prigione”, pronunciata da Vladimir Putin alla vigilia della conclusione del procedimento giudiziario, aveva tolto quel 10% restante di incertezza. Nessun imprenditore od oligarca russo, che ha operato negli anni Novanta, è senza macchia e può tirare la cosiddetta “prima pietra”. Senza paura di sbagliare si può tranquillamente affermare che Khodorkovskij e Lebedev non hanno commesso nulla di diverso da quanto fatto dai loro colleghi in quello stesso complesso primo decennio post sovietico in cui si sono formate e perse fortune gigantesche. La differenza è che il duo della Yukos non è stato ai patti sottoscritti nella primavera 2000 dai principali magnati russi col Cremlino, anzi è arrivato persino ad offendere Putin. “Misha, fermati”, gli avevano intimato gli amici resisi conto che il giovane presidente era del tutto diverso dal malandato predecessore, Boris Eltsin. Ed invece il testardo Khodorkovskij, credendosi invincibile, è andato avanti. Voleva entrare in politica ed aveva stretto un rapporto forte con i potenti circoli di Wall Street a cui intendeva vendere il 40% delle ricchezze energetiche dell’ex superpotenza. Conclusione: la Yukos è fallita, mentre Khodorkovskij è finito a cucire guanti nelle patrie galere in Siberia. Nella storia russa è famosa la corrispondenza tra Ivan il terribile ed il principe Kurbskij. Quest’ultimo, dopo aver sfidato lo zar, era saggiamente fuggito all’estero, da dove si divertiva a stuzzicare con delle missive il potente moscovita, che lo invitava a rientrare in Patria per tagliargli la testa. Khodorkovskij, probabilmente, ha studiato male queste pagine della storia del suo Paese. Il 2011 è un anno di campagna elettorale per le presidenziali di marzo 2012. Il potere si sarebbe trovato in libertà vigilata l’ingombrante Khodorkovskij, che secondo alcuni specialisti è riuscito a nascondere imponenti capitali e potrebbe voler cercare una rivalsa. Washington e Berlino fanno bene a sottolineare il passo indietro compiuto dalla Russia sulla strada della democrazia e della costruzione di uno Stato di diritto. Ma finché si edificano gli Stati sulle personalità e non sulle istituzioni si rischiano queste scivolate. L’Occidente ha bisogno di Mosca per rispondere alle sfide del XXI secolo. A Lisbona le ha proposto un accordo strategico, che se non colto al volo, rischia di far diventare la Russia la periferia della globalizzazione. Conti in sospeso o no, offese oltraggiose ed antipatie, è venuto il momento che anche nella sala dei bottoni moscovita capiscano che c’è un limite alla decenza. Se si vuole essere trattati da pari nel club dei Potenti del mondo bisogna raggiungere perlomeno “gli standard minimi”. Проект создания еврорегиона «Днестр» пока откладывается. «Приднестровье – европейское государство с устойчивым российским вектором развития. Этим и объясняются многие сложности, с которыми сталкивается республика весь период своего существования. Находясь в контактной зоне геополитических интересов Евросоюза и России, Приднестровье в последние годы особенно чувствует европейское влияние», – отметил заместитель министр иностранных дел ПМР Сергей Симоненко. 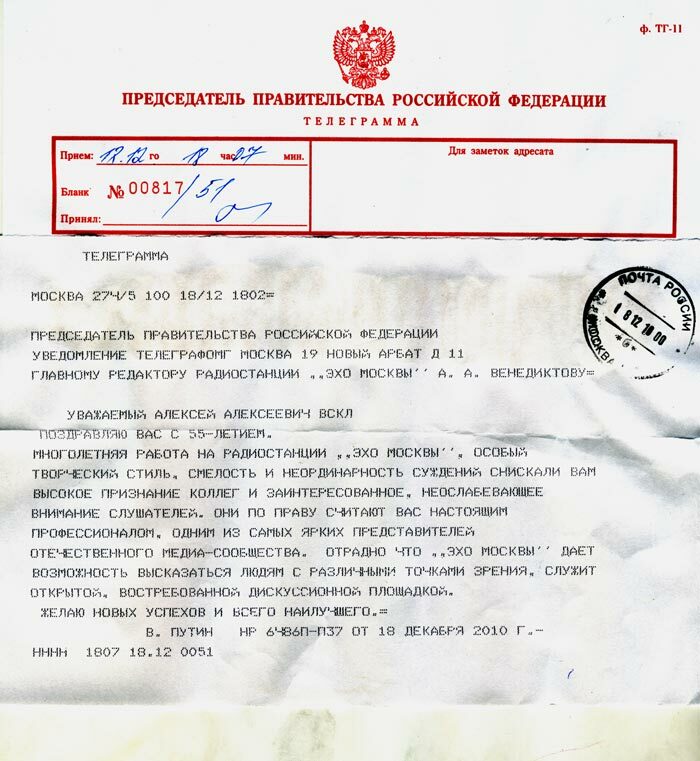 По словам представителей МИД, Приднестровье высказало свою заинтересованность в реализации проекта еврорегиона, «но только в качестве равноправной стороны наряду с Молдовой и Украиной». Moldova still in political and institutional turmoil. Moldovan Prime Minister Vlad Filat became acting president automatically at the moment the first session of the new Moldovan parliament was convened, the Moldovan Constitutional Court told Interfax. “This is stipulated by the Constitution, and there is no need to adopt any legislative acts. If there had been a legitimately elected president in Moldova, he would have continued performing his duties until the new parliament elected a new president. However, Moldova had an acting president, parliamentary speaker Mihai Ghimpu. His powers expired at the moment the mandates of the newly elected parliamentarians were recognized and the first parliamentary session was convened. When the new parliament elects a speaker, the presidential duties will be delegated to him. For the time being, the prime minister is acting president,” the court said. Filat said in an interview that he was disappointed that a parliamentary majority was not put together and a parliamentary speaker was not elected on December 28th. A two-day recess has been announced in the first session of the new Moldovan parliament at the Democratic Party’s request, and it will continue until Dec. 30. Meanwhile, negotiations on setting up a ruling coalition continued on Wednesday. Democratic Party leaders met with members of the Party of Communists, after which Democratic Party leader Marian Lupu met with Liberal Party leader Mihai Ghimpu. Then Lupu, Ghimpu, and Filat held a tripartite meeting. A simple majority of 51 seats is enough in the Moldovan parliament to form a government and other governing bodies, but the votes of at least 60% of all the deputies, i.e. 61 out of the 101 votes, are necessary to elect a president. There were no clear winners at last November’s Parliamentary elections. Moldova is in a long deep political crisis, started in April 2009, and some observers see risks for its future as an independent state. 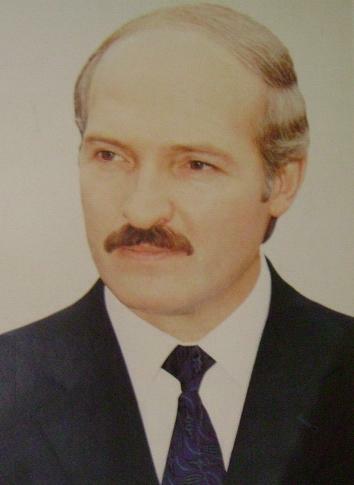 Recently, Romanian president Traian Basescu said that “in the next 25 years Romania and Moldova could be united again.” The Transdniestrian region broke away from Chisinau when USSR collapsed at the beginning of the Nineties. EU – Ukraine, problems for the free trade association agreement. “Yes, there is a political directive to end the talks as soon as possible, but this should not be done at the expense of the quality of the agreement. The content of the agreement should not be the subject for compromise, and even the time frame cannot be an excuse in order to weaken our positions. I want the EU to understand this,” Yeliseyev said. In this connection, he noted that “sometimes it’s better to hold talks a little longer, because it’s not difficult to sign the document.” “We can sign the agreement even today, but the Ukrainian side is not worried about the signing, it’s worried about how we will implement it. We’ll be unable to implement this agreement effectively and successfully under the conditions that are currently being set,” the Ukrainian diplomat said. Почему у Лукашенко новый премьер-министр. «Сидорский слишком долго был в объятиях Путина, поэтому Лукашенко решил убрать такого достаточно неприятного для него премьера, который может в нужный момент оказаться на стороне Путина … у Мясниковича по сравнению с другими возможными претендентами на портфель премьер-министра есть два преимущества: Мясникович — опытный аппаратный волк, который знает устройство власти от и до, не делает ошибок и будет полностью находиться в воле первого лица; у него сохранилась своя управленческая сеть — это люди среднего звена в министерствах и ведомствах, на которых он сможет опереться, если получит команду на углубление процессов экономической либерализации… Мясникович — это человек, который хорошо знает механизмы приватизации по-чубайсовски». Gazprom, Eni strategic partners till 2012. 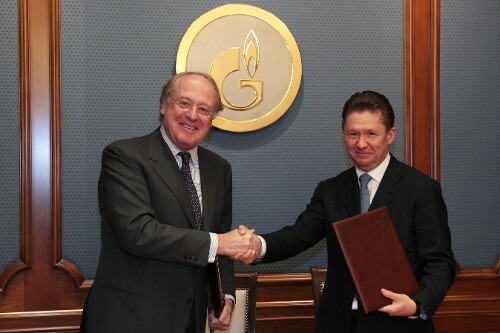 Russia’s Gazprom and Italy’s Eni have extended their 2006 strategic partnership until 2012. The companies signed agreements for technical-scientific cooperation in the upstream and downstream sectors. Integrated working groups will be set up to study application of drilling, production, transportation, energy saving and liquefied natural gas (LNG) technologies and processes, as well as personnel training, Gazprom said. Under the 2006 agreement, Eni and Gazprom have launched joint projects in mid and downstream gas, in the upstream sector and in technological cooperation, including the South Stream gas pipeline project to bring Russia’s gas to Europe. Alexey Miller, Chairman of the Gazprom Management Committee and Paolo Scaroni, Chief Executive Officer of Eni, also discussed gas supplies to Italy and implementation of measures for French EDF entry in the shareholding structure of South Stream AG..
Russia – USA. The new START after the “reset”. The world is a little bit safer today after the agreement among former foes on the most complex part of the Cold War legacy. The U.S. Senate passed the New START treaty by a vote of 71 to 26 on Wednesday, while the Russian parliament may give its approval to the pact soon. Moscow becomes a real partner to the West and in the next following months will take part in the building up of the regional anti-missile Shield together with the USA and NATO. The New Start treaty, which will replace its lapsed predecessor Start (Strategic Arms Reduction Treaty), was signed by the two Presidents Obama and Medvedev in April 2010. It trims US and Russian nuclear arsenals to 1,550 deployed nuclear warheads – a cut of about 30% from a limit set eight years ago. The treaty would also allow each side visually to inspect the other’s nuclear capability, with the aim of verifying how many warheads each missile carries. “Within 45 days after entry into force, we will also then be exchanging our first data for the database under the treaty,” Rose Gottemoeller, US assistant secretary for the Bureau of Arms Control, Verification and Compliance, told. “That’s data on the current status and deployment of our strategic nuclear forces – intercontinental ballistic missiles, submarine-launched ballistic missiles, and bombers,” she said. She also added that the first inspections will take place within 60 days after entry into force of the new START. The cuts in the arsenals were the easiest part of the negotiated agreement. Americans and Russians take equally important technological and economic benefits from this decision. Old and outdated weapons, which maintenance costs too, will be dismissed. Financial savings will be used for research and development of new weapons. The New START treaty is “a cornerstone of security for the coming decades,” according to President Medvedev. “The treaty brings our relations with the United States to a fundamentally new qualitative level, to the level of equality, parity, and a balance of interests,” Foreign Minister Sergei V. Lavrov told deputies at the Duma, the Russian low chamber of Parliament. Japan, the only nation ever to have come under nuclear attack, called the ratification of the START an “important progress” in disarmament efforts by Washington and Moscow. Tadatoshi Akiba, the mayor of Hiroshima, which was destroyed by the world’s first atomic bombing in 1945, said “a world without nuclear weapons” had come “a step closer”, as sought by US President Obama. The USA and Russia send a clear signal on their leadership role against nuclear proliferation. The first major positive consequence of the ratification of the treaty is the birth of a common regional shield to protect the West and Russia against short-and medium isolated missile launches, as decided at the Lisbon summit in November. The former “rogue States” will need years to develop modern intercontinental carriers. This is one of the reasons why President Obama decided not to follow Bush’s military policy with the development of the strategic Shield in Europe. The second effect is political. The Kremlin is no more isolated as it was from 2006 to 2009. A fully integrated in the West and the most possible democratic Russia is a guarantee of stability for the entire world. Георгий Чичерин, книга Людмилы Томас. «Новая биография отца советской дипломатии Георгия Чичерина была представлена в конце прошлой недели в Москве. Имя первого наркома иностранных дел СССР сейчас известно разве что узким специалистам. 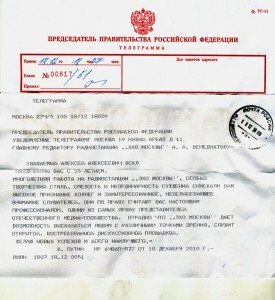 А зря. Если верить биографу наркома Людмиле Томас — Чичерин был одним из самых необычных и даже экстравагантных советских лидеров». В.В. Путин поздравил главного редактора радиостанции “Эхо Москвы” А.А. Венедиктова с юбилеем. А.Венедиктов: «Я не диссидент, я – профессионал» – 31 октября 2010 – 1TV. Le presidenziali bielorusse paiono davvero scontate. Tutti i sondaggi della vigilia danno il capo dello Stato uscente Aleksandr Lukashenko, nettamente in testa con un notevole margine di vantaggio sulla somma dei voti che dovrebbero ottenere i suoi 9 sfidanti messi insieme. Se nel 2006 la competizione poteva considerarsi aperta, poiché l’opposizione era riuscita a nominare un solo candidato (Aleksandr Milinkievich), adesso ognuno è andato per conto suo. Nel 2008 il fronte anti-governativo non è riuscito ad eleggere nemmeno un suo rappresentante in Parlamento. Presidente dal ’94, criticato da Russia, Unione europea e Stati Uniti Lukashenko, definito dall’Amministrazione Bush “l’ultimo dittatore” del Vecchio Continente, non ha avversari in Patria anche grazie al ferreo controllo dei mass media. Gli osservatori dell’Osce hanno già certificato la disparità del loro uso fra i candidati. Russi ed occidentali hanno in questo momento altri problemi per scontrarsi sulla Bielorussia. Così se le elezioni saranno “democratiche” o avranno una parvenza di esserlo l’Unione europea garantirà a Minsk un credito di 3 miliardi di euro. Da settimane circola voce che dopo le presidenziali la Bielorussia rischia il default per le eccessive spese di questi mesi. La Russia, invece, ha già concesso ai fratelli “bianchi” vantaggi doganali e fiscali, simili a quelli goduti in passato, sulla raffinazione e sulla vendita del proprio petrolio all’estero. Democraticamente “Batka” ha permesso di apparire per un’ora in televisione a ciascuno dei suoi 9 litigiosi avversari alcune settimane prima del voto in modo che gli elettori abbiano il tempo di dimenticarseli. Ma è bene sottolinearlo tra loro non vi sono rilevanti personalità che potrebbero coagulare un fronte anti-Lukashenko.